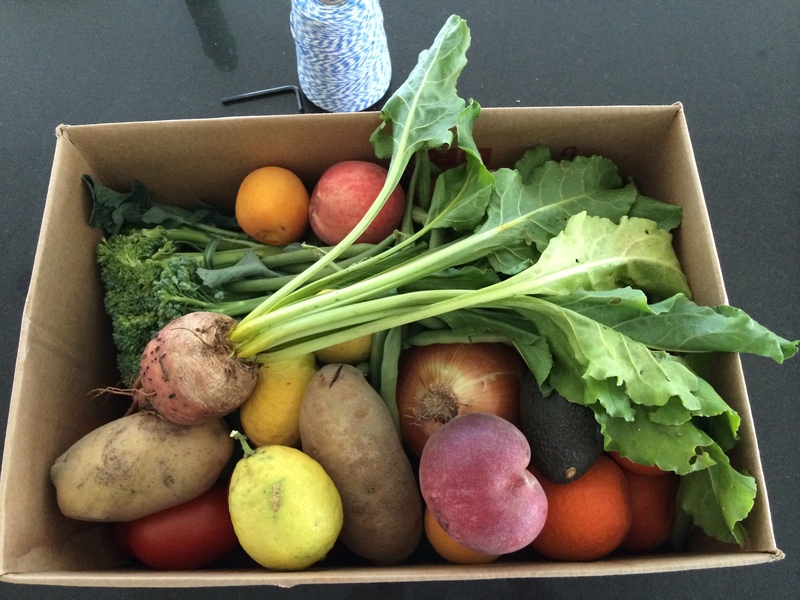 I’m trying a local CSA this week, where I picked up a box full of vegetables and fruit for $28. The food is grown by local gardeners, and is distributed from a house on 38th St. Today was the pick-up day, and I got some carrots, potatoes, onions, roma tomatoes, squash, tangelos, peas, avocados, etc. I chose what I wanted, which is a pretty good deal. My box of vegetables in my high-rise elevator was the anachronism of the day.